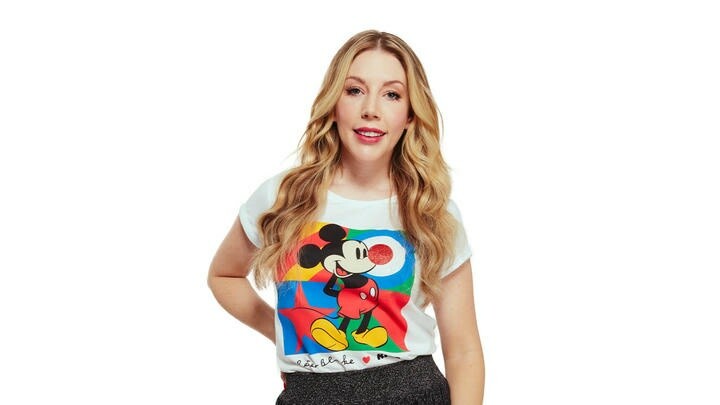 The brilliant British Pop Artist Sir Peter Blake has designed an official limited edition t-shirt in support of Red Nose Day 2019, in partnership with TK Maxx and Disney. Having taken part in many successful collaborations before; co-creating the sleeve design for the Beatles' album Sgt. Pepper's Lonely Hearts Club Band, the cover of the Band Aid single "Do They Know It's Christmas? ", and the Live Aid concert poster. His design is bold and bright as ever, perfectly fitting with the laughter and joy of the Red Nose Day campaign. Blake is one of the most prominent British figures in the Pop Art movement, with a career stretching over 50 years. Central to his paintings is his interest in images from popular culture, from branding and advertisements to celebrities. 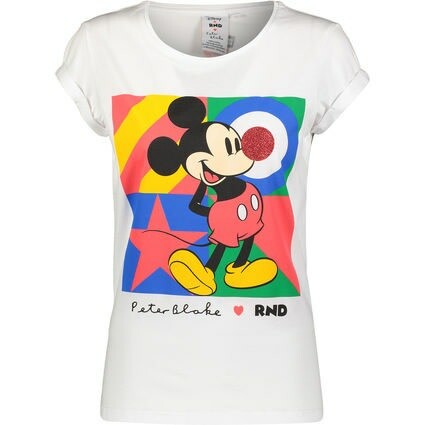 In the Red Nose Day T Shirt campaign, he has also collaborated with Disney, featuring Mickey Mouse in his design. Not only does this fit his aesthetic, it also acts as a reminder of the cause; Red Nose Day was created as a charity to support children across the UK, and the profits from every T shirt sold goes directly to them. 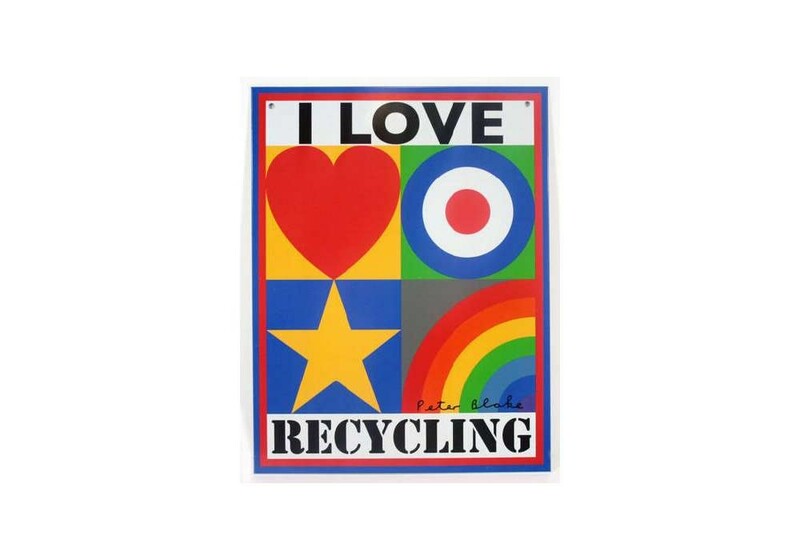 Sir Peter Blake has also been involved in other charities over the years, including his print edition ‘I Love Recycling’ designed as a public declaration by the artist, to celebrate and support a new ‘culture of sustainability' in a time of climate change. Like the Red Nose Day T Shirts, the print edition featured his iconic heart, target, star and rainbow motifs. We are very proud to be showing this brilliant artist’s work at the gallery. He is not only one Britain’s most successful artists, but he also uses his striking imagery as a tool for change. For more information on the work of Sir Peter Blake and to add one of his pieces to your collection, drop us an email to info@rhodescontemporaryart.com. To purchase a Red Nose Day x Sir Peter Blake T Shirt, CLICK HERE.